The family strategy game that's easy to learn and gobs of fun to play! Players are hungry little goblins, trying to gobble up as many stones as possible to score points. Be a clever goblin and eat up the most valuable stones, but don't be too greedy.... a stuffed goblin is a slow goblin! 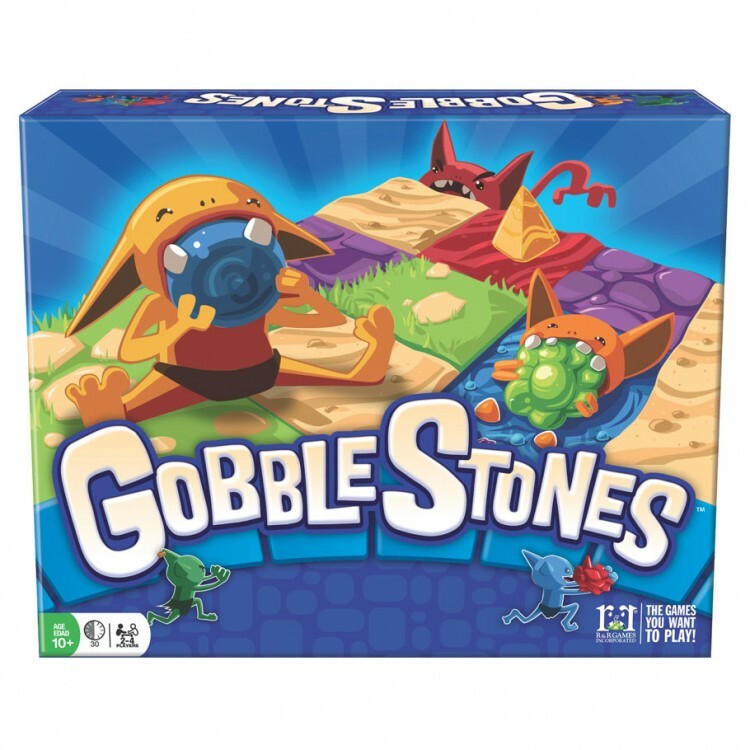 The more stones you gobble, the bigger you get, and the fattest goblin wins!